WHAT IS CMS PLANNING FOR MACRA? The proposed 2019 CMS Physician Fee Schedule changes in E/M coding could have a dire impact on neurology departments. Neurology leaders discuss how and why the proposed coding changes could imperil their science and education mission as well as patient care. This past July, the Centers for Medicare & Medicaid Services (CMS) dropped a bombshell. In its new proposed physician fee schedule for 2019, CMS said doctors who participate with Medicare will be paid the same flat fee for an outpatient visit ($92 for established patients, $134 for new patients) regardless of the length of time or complexity of the visit. The possible impact? The proposed rule, which would go into effect in January, could threaten not only the viability of neurology practice but also every neurology department's academic mission to support science and education, ultimately compromising the pipeline to neurology. The plan, as written, is poised to impact most neurologists who care for the sickest and most complex patients. The proposed payment rate is just slightly above the reimbursement of present day level 3 codes, which currently call for a medical-decision making of a low complexity. For physicians who typically see complicated patients and bill a large number of the 99204 and 99205 new patient codes, and 99214 and 99215 established visit codes, this means a sizeable loss of revenue. The proposal also creates an incentive for employers of physicians in practices, hospitals, and health systems to reduce the scheduled time for all visits in order to increase the volume — after all, a one-minute visit will reimburse the same amount as a 45-minute visit. As a result, experts predict that employers will be incentivized to instruct their practitioners to shorten the time of their appointments, address only one medical problem per visit, and to send complex patients to academic centers. Neurology departments, already operating on tight margins, will likely feel a greater squeeze as the most time-consuming patients are shifted further out of the community and into their waiting rooms. This comes at a time when the codes for long-term EEG monitoring — services that bolsters the bottom line in many departments — are being reviewed, and when we expect the release of several more ultra-high-priced, neurologic drugs, further taxing a system that is still struggling to manage the cost of administering nusinersen (Spinraza), eteplirsen (Excondys 51), and edaravone (Radicava), among others. Kenneth L. Tyler, MD, FAAN, the Louise Baum endowed chair of the department of neurology at the University of Colorado School of Medicine, has examined a recent analysis of the proposed changes and estimates that his department would likely lose almost $500,000 in revenue each year on the new E/M proposal, even if a specialty add-on bonus were to be included. Dr. Esper, who chairs the AAN Health Services Research Subcommittee, explained that access is already limited by the time required to care for complex patients often seen in disproportionate numbers at academic medical centers. He fears that Emory's care models would be unable to change rapidly enough to avoid a tremendous revenue hit. Dr. Smith also has concerns about how this will affect the compensation systems of employed neurologists. Like many compensation systems, VCU has a relative value unit (RVU) based plan in which employed physicians receive a base salary, which is benchmarked, and an incentive bonus based on additional productivity targets. “If the department's productivity declines precipitously due to seeing sicker patients and incurring cuts in reimbursement, we will have to absorb a substantial loss,” he said. He also warns that with less time to sort out complicated problems in the office, utilization of intensive diagnostic resources such as expensive imaging may increase. Dr. Jones anticipates that Medicare's plan may ultimately backfire. “By creating a powerful behavioral incentive to see more patients in shorter visit slots, the overall costs to the system may increase at a higher rate, resulting in the opposite of CMS's intended effect on costs,” he warned. “With decreased MIPS reimbursement (see Web extra), the cuts in Evaluation & Management codes and increased operating expenses required to comply with regulatory laws, I believe the outlook for academic medicine, and medicine in general, is bleak if this course continues,” Dr. Esper said. But some experts believe that there will be some winners in this proposal and that the payments received by a large group practice that includes primary care providers, surgeons and subspecialists should be revenue neutral. “The reduction in payments will likely result in physicians changing their practice patterns, which may include a decision to reduce their participation in Medicare among other consequences,” Dr. Cohen added. Assess your practice's E/M billing patterns to estimate how you may be impacted by the proposed payment changes. Review the amount of time your practice spends on each level of E/M service to understand scheduling changes that may be necessary. In an interview with Neurology Today, Lyell Jones, MD, FAAN, associate professor of neurology at the Mayo Clinic in Rochester, MN, and chair of the AAN Registry Committee, explained how the 2019 proposed rule could impact the Quality Payment Program (QPP), also called Medicare Access and CHIP Reauthorization Act (MACRA), the 2015 law that created the program). Dr. Jones noted that through these programs CMS has indicated its clear commitment to value programs. These programs, including the Merit Based Incentive Payments System (MIPS) and Advanced Alternative Payment Model (AAPM) pathways in QPP, are generally designed to reduce system costs over time while maintaining or improving quality of care. In short, despite rumors to contrary, MACRA isn't going anywhere anytime soon. In the 2019 proposal, most of the changes are to the MIPS pathway and are in line with expectations. MIPS incentives in 2019, which would be applied to 2021 payments, will once again widen to a range of incentive of up to 6 percent and potential penalty of up to -6 percent (+/- 6%). The performance threshold needed to avoid penalties will increase to 30 points, from 3 points in 2017 and 15 points in 2018. The low volume participation threshold will remain relatively high, which will benefit small and solo neurology practices who wish to be exempt from MIPS. However, with a smaller pool of practices participating, the available pool of funds to redistribute in this cost-neutral program will remain smaller than anticipated. As we saw in 2017, practices who don't participate or meet the performance threshold are exposed to the full negative incentive (-4 percent in 2017, -6 percent in 2019), but have a limited upside (the highest performers in 2017 received 2 percent bonuses, and most were less than 1 percent). Critics of the program point out that the asymmetry between penalties and bonuses in MIPS create a more potent incentive to avoid the program than make the investments needed to perform well in the program. One of the critiques of the QPP is that it creates few opportunities for specialists like neurologists to participate in the AAPM (Advanced Alternative Payment Model) pathway, the other arm of MACRA compliance. Large neurology departments, as constituents of academic institutions and health systems, may have greater opportunities to pursue participation in population-based AAPMs such as Accountable Care Organizations (ACOs). These models provide benefits ranging from avoidance of MIPS penalties to potential bonuses from CMS. Department chairs and practice leaders should work with institutional leadership to determine if ACOs or other payment models will be pursued, and if so how they will affect not only the finances but the clinical care delivered by the department. There is a broad and unwavering consensus from payers that they will continue to explore and adopt value payment models. While the form and structure of these payment models may change with the political environment, reducing costs of care is one of the few truly bipartisan issues among policymakers. CMS specifically has been very consistent in its stated commitment to value-based payment. 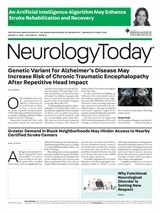 Neurology Today18(19):1,54-57, October 4, 2018.